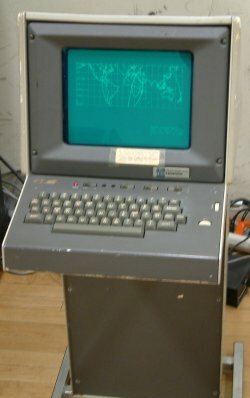 The Tektronix 4010 is a graphics terminal introduced in 1972. It is based on an 11" direct-view storage tube displaying vectors on a 1024×780 resolution raster. The 4010-1 includes circuitry that allows the stored image to be printed using a 4610 hard copy unit. Other members of the 4010 family are the 19-inch 4014 and 25-inch 4016. This page was last edited on 25 March 2019, at 17:21.